Day & Date: Saturday, 8 September, 2018. Grandparents are the family’s greatest treasure, the founders of a loving legacy, the greatest storytellers, and the keepers of tradition. Grandparents are the family’s strong foundation. Through their special love and care, grandparents keep a family close at heart. To honour them K.R. MANGALAM WORLD SCHOOL, GK II celebrated Grandparents Day on Saturday, 8 September 2018. The programme began with the auspicious ‘Lighting of the Lamp’ and was followed by the Prayer. 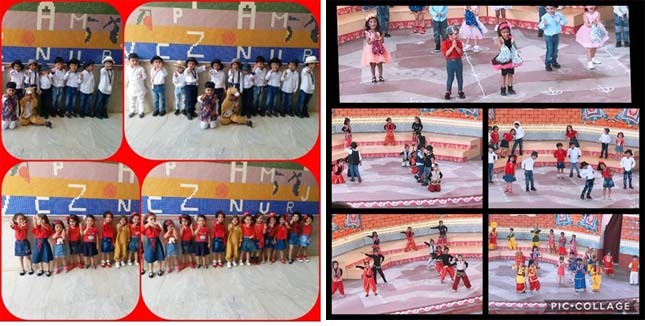 Many power packed dance performances by students left the spectators spellbound and thoroughly mesmerized. 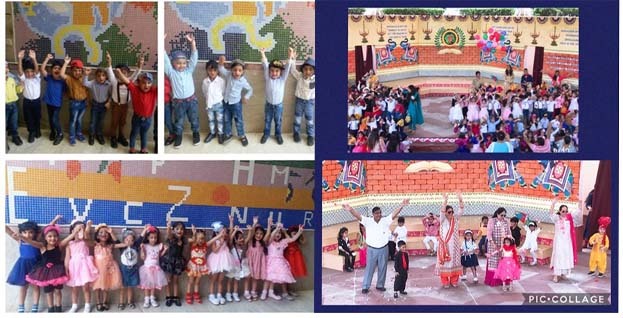 The icing on the cake was the Fashion Show performed by students of Pre-school and their grandparents which showcased the special bond they shared. Principal Dr. Sangeeta Arora addressed the gathering and encouraged the students for putting up scintillating performances for their grandparents. Grandparents shared some mesmerizing moments and relived their childhood with the grandchildren. The students made Bracelets and Cards for their lovely grandparents and gifted a token of love in the form of Tulsi sapling. The success of the event was evident through the joyful smiles and teary eyes of the grandparents as they were overwhelmed to see their grandchildren performing for them.